CAL stands for ‘crochet a-long’. 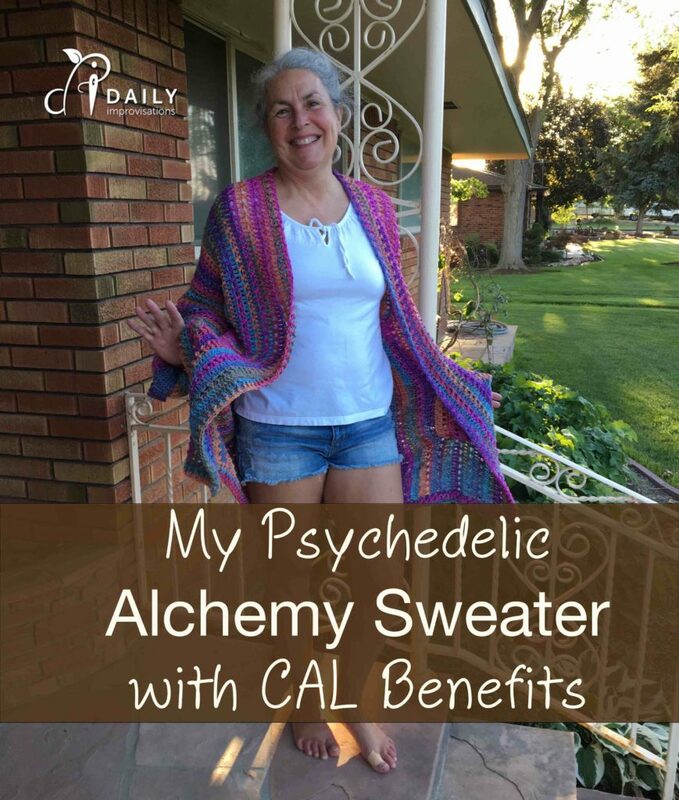 The Alchemy sweater CAL was put on by lovecrochet.com and there was tons of fun and useful interaction via their Facebook page. The Alchemy sweater is designed to be a summer sweater, with a fairly open crochet stitch and no closures in the front. The pattern is available for purchase at lovecrochet.com or as part of the text on the designer’s blog. I choose to purchase the pattern because I found it easier to print and read. 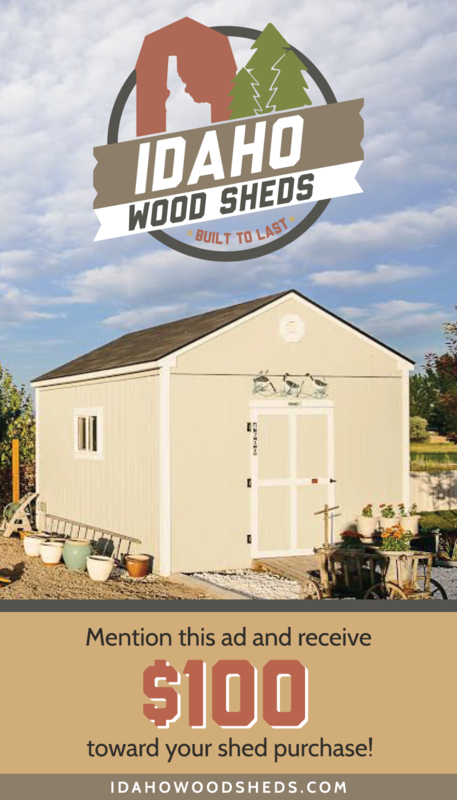 The designer’s blog is Make & Do Crew, where she had very helpful video tutorials helped me understand some pattern directions I was struggling with. I have crocheted a few pullover sweaters before, but this was my first cardigan. I learned a lot of useful things making this simple sweater, one of my favorite being the ribbing. Being part of the CAL helped me get it done in 6 weeks, which is a record! And this even though I was sick part of the time. The cuffed sleeves have turned out to be too loose to stay cuffed. I may tack them in place. They are full arms length while cuffed, which is probably because, despite checking my gauge carefully, I seem to have crocheted looser than desired for my intended size medium. Other people didn’t seem to have this problem. My sleeve before it was sewn together. I know, I know. 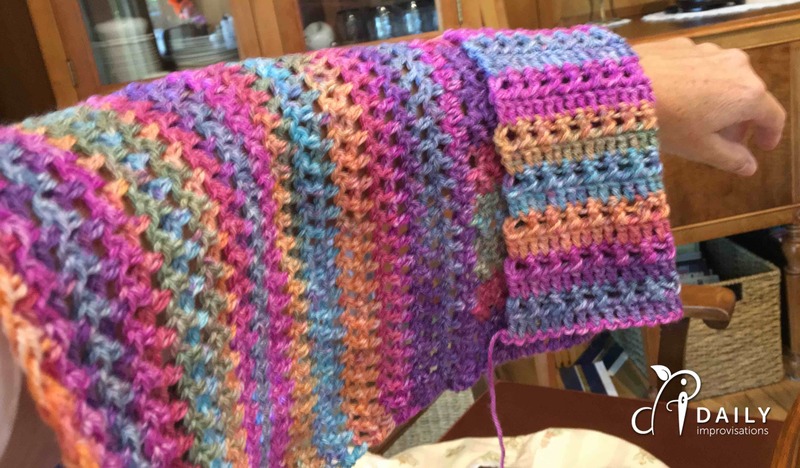 The idea behind a solid color yarn when crocheting is that is shows the stitch pattern more distinctly. What can I say? I was in the mood for a bright, multi-colored sweater! I found Hayfield Breeze, Embers at lovecrochet.com, but it currently says out of stock. While the full instructions are on the pattern, there is one thing that is particularly important for crocheting with a multi-colored yarn: Start each piece with a new ball. This saves you the headache of trying having your yarn end in the middle of a piece and trying to find the correct place in another ball of yarn to keep the color sequence right. It is kind of like matching stripes when sewing. Speaking of sewing, I did find that with the different colored sections of yarn I had to be extra careful about where I put my stitches when sewing the pieces together or hiding tails of yarn so that they wouldn’t show through in awkward ways. Since I like sewing with fabric, I find it curious that I mentally balk at sewing crochet pieces together. However, I learned the mattress stitch for a previous project and it helped overcome this. got in the flow of it much better in this sweater. More on this below. Making this sweater gives me understanding of how I could make a cardigan with almost any crochet stitch. Seeing how various people in the CAL group improvised gave me ideas, too. At least one person started the pieces with a double crochet foundation chain, which looks like it helps keep the edges in better shape. Other people worked the body of the sweater in one piece, avoiding stitching the larger pieces together. I haven’t quite got my head around that. 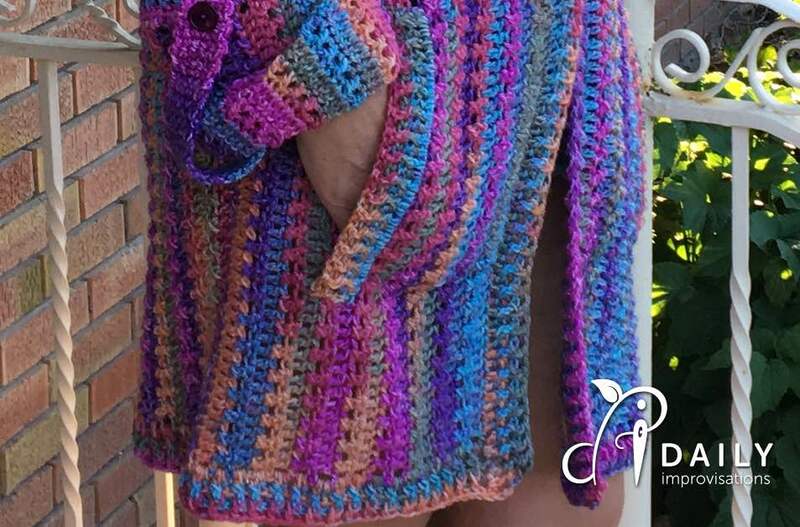 I was a little worried that the color flow would be an issue when crocheting on the ribbing or sewing the pieces together. I tried to pick a section of my multi-color of yarn that basically matched, but didn’t get super picky. The seams blended in to my satisfaction. My sweater turned out somewhat longer than others I saw posted. Some people adjust their length. Being slightly taller than 5 foot 8 inches, I often end up with things being too short, so I am pleased with the length. I thought the pockets would be weird feeling, with the open mesh, but my hands were quite comfortable in them. In the title photo, I have my hands part way in the pockets. It was fun to see all the different colors that other people made their sweaters out of, but I don’t have any regrets at all about making mine so cheerfully bright!